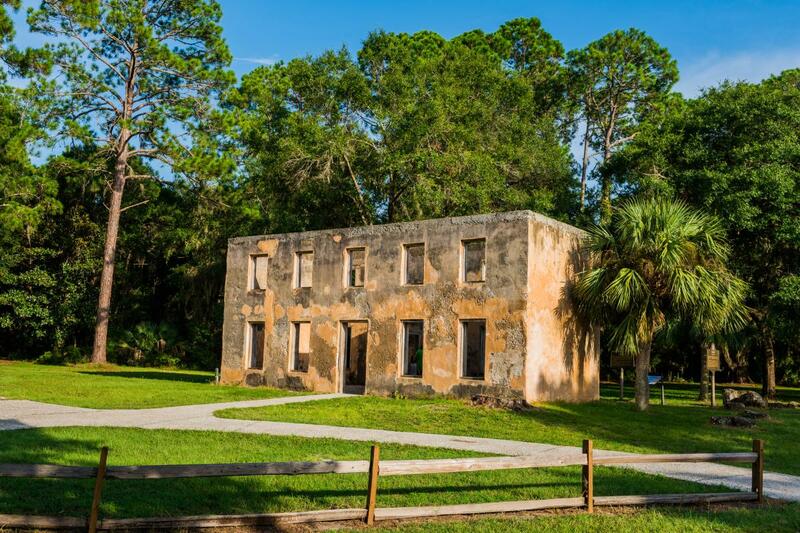 The Horton House tabby ruins stand as a sentinel to the founding of Fort Frederica. In 1738, Major William Horton received Jekyll Island from the colony’s trustees. A top aide of Oglethorpe’s, Horton had under his command the troops garrisoned at Fort Frederica, on St. Simons Island. With the completion of his home in 1743, Horton farmed and supplied Frederica with hops and barley for Georgia’s first beer, in addition to his military duties. Later, the DuBignon family, who owned Jekyll from 1790-1886, occupied Horton’s home as their home until the mid-1800s. Visitors can view the DuBignon cemetery near the Horton House ruins. John Eugene DuBignon, with the help of his brother-in-law, Newton Finney, sold the island to a group of wealthy northerners in the late 1800’s. Aided by an enterprising scout, some of the country’s most elite were next to find nirvana on Jekyll Island. It was just what they were searching for: a spot that would offer natural beauty, complete privacy and excellent weather so they might escape the brutal northern winters. Soon, farmland gave way to a grand clubhouse, one that Munsey’s Magazine called "the richest, most inaccessible club in the world," and the Jekyll Island Club was born. After they selected Jekyll Island, and under their direction, it became the most exclusive resort in the nation. It is said its membership represented one-sixth of the world&apos;s wealth, and a dictate agreed upon no unwanted or uninvited person ever visit the island, a rule that remained in effect until 1942. Soon, the names of Rockefellers, Vanderbilts, Goulds, Cranes, Morgans and Goodyears signed the register when the clubhouse opened in 1888 and were to later build residences on the grounds that remain today. With its stellar privacy, the island provided the setting for several historical events. 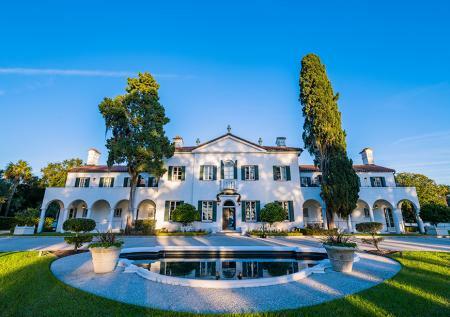 Visit the Jekyll Island National Historic Landmark District to see some of these historic homes for yourself. Senator Nelson Aldrich of Rhode Island convened a secret meeting on Jekyll Island in 1910 to discuss banking reform. That discussion led to the Aldrich Plan, which became the forerunner of the Federal Reserve System. The first transcontinental telephone call on January 15, 1915 connected club member and AT&T president Theodore Vail on Jekyll Island with President Wilson in Washington, Alexander Graham Bell in New York, and his assistant, Thomas Watson, in San Francisco. Purchased by the state of Georgia in 1947, Jekyll Island is Georgia’s own treasure. With environmental wisdom, only 35 percent of the island is developed. The other 65 percent remains preserved in its natural state. Nine hotels with over 1,500 rooms offer accommodations from family-oriented to luxury, and the activities available are the same activities that were once enjoyed by the millionaires: 63 holes of golf, nine miles of beach, a tennis complex, a summer water park, soccer complex, nature and turtle center, bike trails and fishing piers. 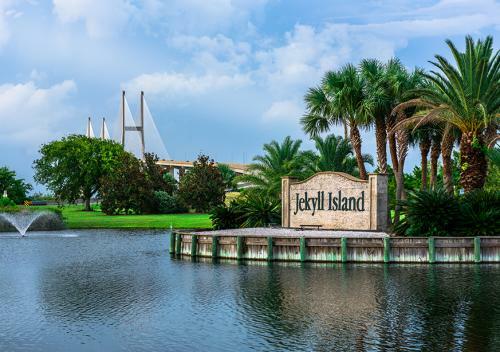 Today, the Jekyll Island National Historic Landmark District is one of the largest projects in the southeast, and families and couples visit the area to enjoy the activities, attractions and events that Jekyll Island and the Golden Isles host every year.